Many years ago this part of Sailor Senshi Sanctuary hosted a chat channel on the FrenchKiss (once known as AnesChat and later GlobeTalkers) chat network. Many of us first came upon this chat service from the long defunct Bianca's Sailor Moon, and its chat channel "BSailorMoon" later known as "SailorMoonPics." While that site served as the original entry point for many of us, word soon spread about the service and there were literally dozens of sites with entry points and hundreds of different chat channels. FrenchKiss hosted all types of chat, just not anime and it contained a very diverse group of people across all age ranges and walks of life. For those of us who were there during its early days it was an experience unlike anything else. I made a lot of really good friends there and was able to keep in touch with many people I knew from outside the realm of the keyboard as well. For many years it served as a place to kick back and have some excellent conversations about nearly anything. 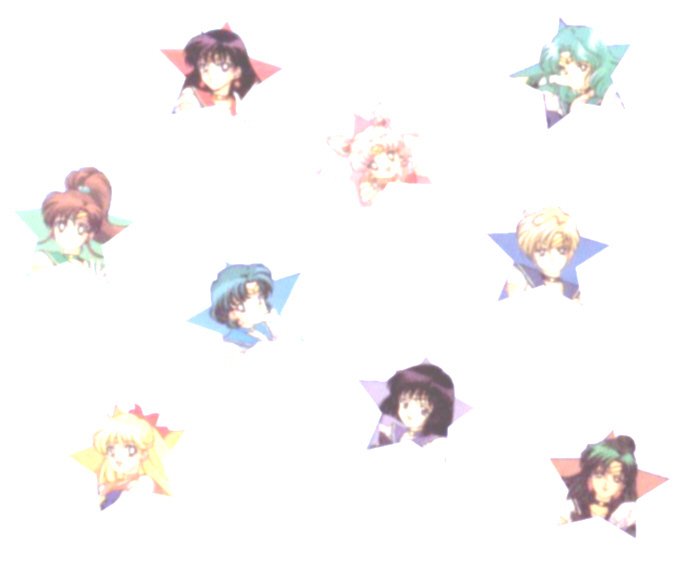 While the chat service outlived the Sailor Senshi Sanctuary back then, as with all good things it came to an end. Much of the original crew went different ways and the thousands of users dwindled down to dozens. I suppose instant messaging is somewhat to blame for its decline and chat rooms in general. Still, the SSS chat channel "Senshi Chat" was active right up until the end. In fact the only part of SSS that continuously operated in one form or another was the chat server connection page. Eventually the chat went away completely. The site is still there, the network is still there, but the chat applets simply do not connect after initializing. Because of this, The Spire of Communication is no longer in operation. This part of SSS remains as a memorial to that wonderful part of the site and the lives of many of its users, including myself. Who knows, maybe one day the chat will start to work again and I'll reinstall the chat applet. CHAT APPLET HAS BEEN REMOVED DUE TO DISCONTINUATION BY HOST, READ ABOVE. Old disclaimer: The Sailor Senshi Sanctuary is in no way responsible for the content of this chat. The content of the chat is controlled by the people in the chat expressing it. Please try to keep it clean, thanks! Report abuse (ONLY IN THE Senshi Chat CHANNEL) to me at sss@classicplastic.net. How this chat works: Sailor Senshi Sanctuary chat uses the FrenchKiss chat network (formerly AnesChat and currently owned by Globetalkers) to connect you to a server of different chat "channels" or rooms. Please note that you can leave the Sailor Senshi Sanctuary channel (Senshi Chat) and go into any other active ones and vice versa. It is only recommended that you enter into the chat if you are over 13 years of age. To remain safe as possible only remain in the Senshi Chat channel. NEVER GIVE OUT ANY PERSONAL INFORMATION VIA ANY CHAT ROOM!!! Just as in the real world, everyone in the chat server isn't always pleasant - this chat source was EXTREMELY popular during the early days of SSS but it fell to the wayside when things like AOL IM became popular. If you would like a FrenchKiss chat of your own for your own site, head over to Globetalkers.com and register for one! - IT'S FREE! or any other company holding copyrights to Sailor Moon.